Life is what you make it. If you desire to live a truly joyful and free life then there are some steps that you must take first. It may be a difficult journey along the way but the end results will be more than worth the effort. The concept of freedom is an essential one. It is something everyone desires, craves, strives for and significantly needs in order to carry out their dreams and passions. However, the counterpart of freedom is direction and purpose. The concept of freedom alone, without purpose is said to be imperfect. It limits the possible depth and overall assessment that any relationship has to offer. Freedom with purpose, on the other hand, is necessary to live the life you desire. A lot of people say that liberation is the key to exposing yourself to the different aspects of life. If you are liberated, no one would ever push you to do something that is against your will. You are also free to do anything you want, as long as it can make you happy and feel satisfied. Do you feel suffocated due to the policies and conditions given by your parents and other people that surround you? If yes, then you might get tempted to become a liberated person. 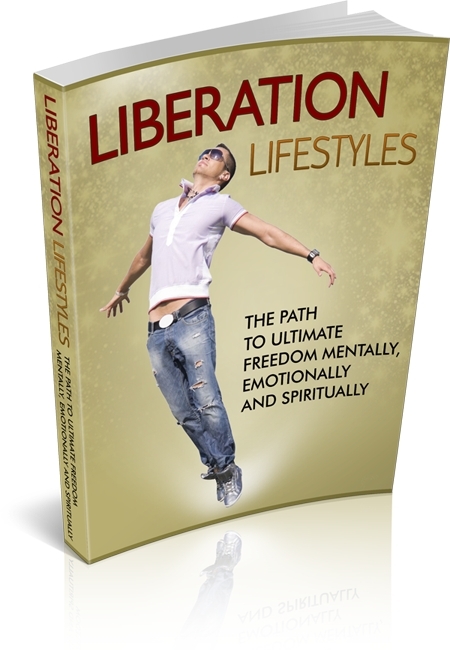 Most people believe that liberation is the key to ultimate freedom whether it is mentally, emotionally and spiritually. To know more about the concept of liberation and freedom, this ebook will provide you comprehensive information to understand these terms. You will be able to discover how to achieve ultimate freedom for a successful life.